ONE OF MY FAVORITE STOPS IN ANY CITY IS THE LOCAL FARMERS MARKET. THIS IS WHERE YOU TRULY GET A FEEL FOR THE LOCATION - BY SEEING THE PRODUCE GROWN IN THE REGION, THE TYPE OF FOOD THAT IS SERVED AND THE LOCALS WHO ATTEND. IT'S A GREAT PLACE TO PEOPLE WATCH WHILE EATING DELICIOUS FOOD - MY KIND OF AFTERNOON! Times and days usually vary, so I will often research all of the locations I want to go to and try to plan my trip around those days. For example, I know that the local farmers market in Jaco, Costa Rica (one of my faves!) is on Friday mornings so I always make sure to get in on Thursday so I don't miss it. Markets vary in what type of goods they provide - crafts, clothes, antiques, food, etc., so be sure you know what you're looking for so you don't end up finding a a bunch of old clocks when you really wanted an authentic Mexican taco (yes, we've made that mistake before). This is your best opportunity to mingle with locals so be sure to ask questions when you are talking to vendors and fellow shoppers. We usually get some of our best recommendations this way. 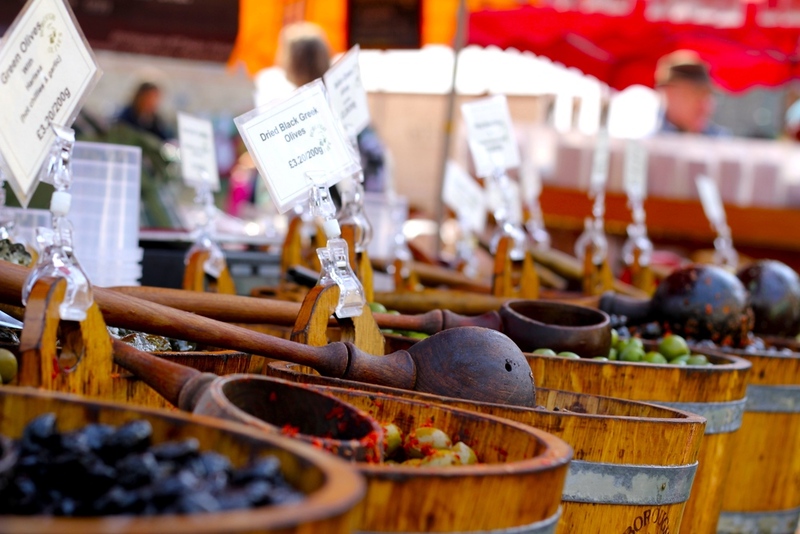 Finally, don't limit your time to only outdoor markets. Grocery stores are amazing cultural experiences too and often have the best prices. You'll usually find the stores that real people go to outside of the touristy parts of town, but the extra trek will be worth it's weight in gold... literally. I never buy my olive oil or pasta in the fancy storefronts on the main drags in Italy, I go to their version of Walmart and stock up to send home in my extra large suitcase! I hope you are able add this as part of your next vacation, happy travels!